As you know if you’ve been following this blog for the last few weeks, I have a thing for the Samsung ATIV Q. I’ve gone back and forth between whether it will work for me given the apparent limit of 4GB of RAM, and Samsung has been quite hush-hush regarding final specifications, pricing, and launch date. So, I’ve been waiting with bated breath for more information so that I can plan the rest of my 2013 gadget budget. 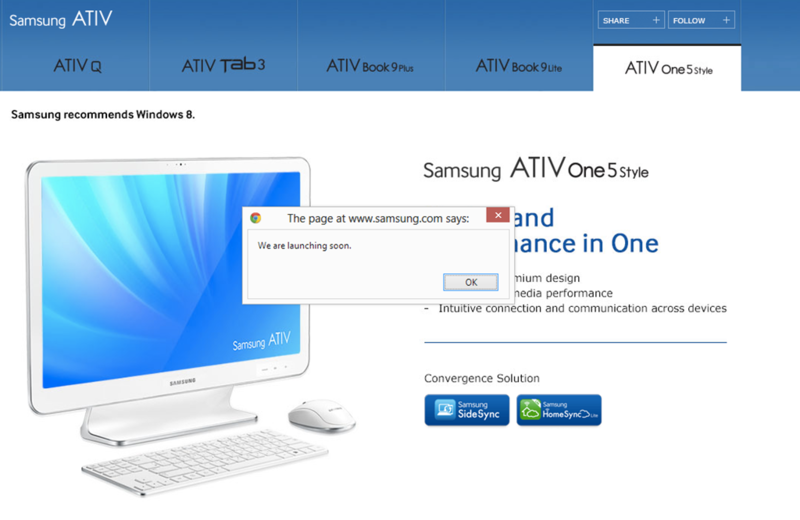 I find this a bit odd, and I have to wonder: does this mean the ATIV Q release is just around the corner, or does this mean that Samsung is making some sort of changes to the device and so they’re no longer showing any sort of details. The latter would seem to imply a delay, as well, despite the “We are launching soon.” popup. It’s a mystery, albeit a small one. 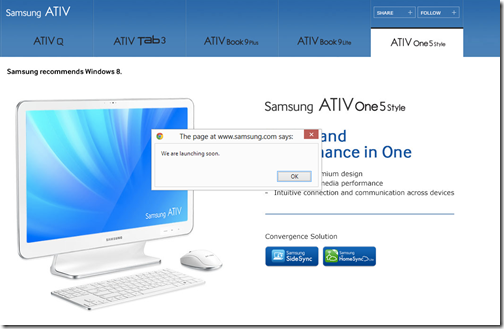 Hopefully Samsung will shed some light on the matter relatively soon, before all of the hype from the ATIV Q’s announcement is gone.